In my yoga classes I always work with a specific intent. It can be entirely focused on a particular part of the human body that I am currently researching to understand it’s functions and dysfunctions. Or it can also be a mixture of an anatomical part and something I am learning about in my own life. I share those with my students but not everyone can make to my class so this is the reason why I’ve decided to start “pose of the week’ blog. In the past weeks I have been swamped with work and despite all the wisdom, yoga, meditation my neck and shoulders become the biggest victims. We all abuse our body in one way or another but those little guys always get beaten up the most. The neck gives us the ability to hold our head up high with confidence, but also to drop our it down and hide in the shadows. It keeps us always on guard, ready for the fight. Neck muscles may be small but they are mighty and often forgotten until they hurt. The neck is the support structure for the head and protects the spinal cord. The brain’s messages and major blood vessels travel through the neck to the body. This is why we often call the neck the 'gateway between the mind and the body'. Neck tension and pain can be produced by stress, computer work, sleeping positions or bad posture, among other things. When the neck is tense, the shoulders rise and the chin moves up and forward, causing further misalignment and pain. Neck tension can often lead to headaches, a problem affecting something like 75% of the general population. Chronic tension can settle into the neck, and literally strangle your aliveness. Releasing those muscles will literally improve that circulation and your energy levels. It will clear up the gateway between your mind and the body and will give us greater ability to make wise decision. In Chinese medicine there is a group of ten points, which are called the ‘window of the sky’ or the ‘window of heaven'. I couldn’t find them in many of the more practical acupuncture books but they definitely have a lot of references even though they are not used commonly and are classified as more spiritual points. Interestingly they are being used within the Tom Tam Healing System for a range of conditions such as MS, Parkinson's, and brain tumours to facilitate the smooth flow of blood and Qi to and from the brain. Thai massage taught in northern Thailand is based on the same Tom Tam system to ensure maximum healing benefits to the body. So perhaps just before you go to bed tonight you consider dedicating 5-10 minutes to care for your neck? find a confortable seated position, it can be on the bed, in your garden, even at your desk while you are at work. lean head to the right and take a breath. I love to follow this with legs up on the wall, especially after a very long day at work. Try it! This is a great video by Kathryn Budig. New workshop - stay tuned! 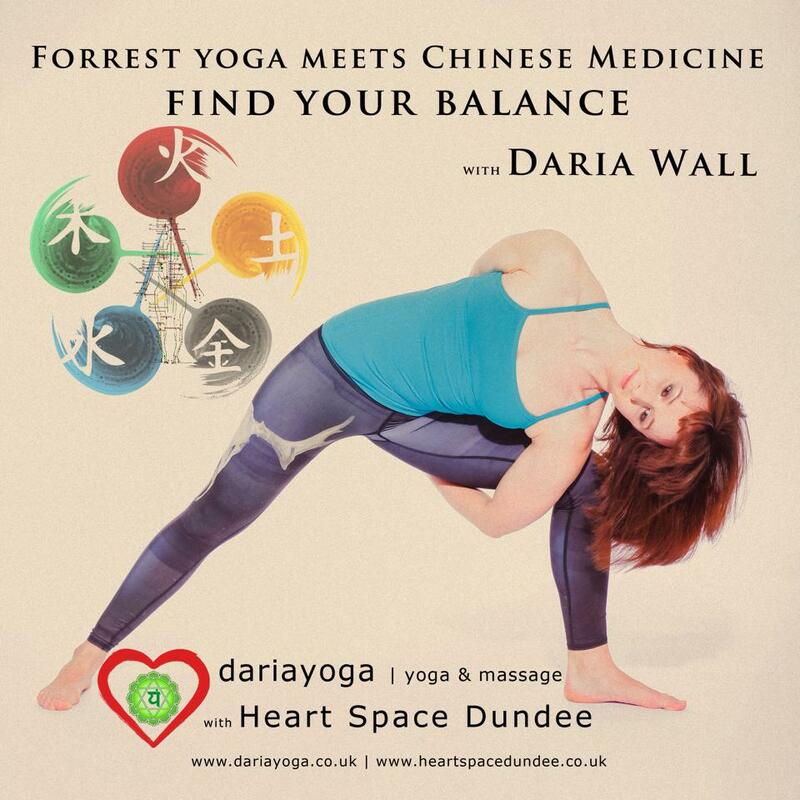 For the past few weeks I have been working on a series of exciting workshops combining yoga, Chinese medicine and massage -INTRIGUED? Stay tuned, more info coming soon!